The United States Automobile Association, commonly known by its acronym USAA, is a financial services provider based in Texas. The company’s products – including and especially its life insurance policies – are designed to primarily cater to the needs of military personnel and their families. How good are the life insurance policies of USAA? How does the USAA life insurance company fare when compared to its competitors? Let us find out. In 1922, a group of 25 officers from the US Army decided to establish an insurance company of their own in San Antonio, Texas, since they were unable to obtain auto insurance from any other company owing to the high-risk nature of their occupation. The company, aptly named the United States Automobile Association, has grown into a $30 billion dollar enterprise today. USAA is a Fortune 500 company, with more than 12 million members, 32,000 employees, and assets worth over $150 billion under its management. The company offers life insurance, auto insurance, personal property and casualty insurance, homeowner insurance, and renters insurance. Apart from this, USAA also offers banking, investing, financial planning, and brokerage services to its client base. You can see their full offering at www.usaa.com. When it comes to financial strength, USAA is second to none in the industry. The company has performed exceptionally well over the years, based on which it has earned high ratings from various agencies. Let us take a look at USAA’s ratings now. USAA offers a term life policy which has a number of unique features. You can choose from five different term lengths – 10, 15, 20, 25, or 30 years. It is a level-premium plan, which means your monthly or yearly commitment remains the same throughout the policy’s term. You have the option of upgrading your policy any time you want – you can convert all or part of your policy into a permanent life plan without taking any tests. If you are between the ages of 18 and 35, the company allows you to buy an additional policy worth $100,000 (apart from the policy you already have) on three different occasions – marriage, birth of a child, and buying a new house. If you happen to have more than one child, the company allows you to insure all your children for less than $7 a month. When your children grow up, the policy can be converted into a permanent life policy, depending on their choice. The best part is that your children need not undergo a medical exam in order to qualify for the permanent life policy. Apart from the benefits mentioned above, USAA’s term life insurance policies also offer a number of special benefits exclusively for members of the US military. The policy does not have a war clause, which means you are covered even when you are on active combat duty. In the unfortunate event of your death – due to war or an isolated act of terrorism – your family will still receive the death benefit. The policy includes an injury benefit, which covers you for a sum of $25,000 in case you are severely injured in the line of duty. If you retire from the military, the USAA policy you own is guaranteed to replace the coverage offered by SGLI (service members’ group life insurance). Now, let us take a look at the permanent life policies offered by USAA. You are guaranteed of lifetime protection as long as you make the necessary payments. The coverage amount and the premium do not change until your death. You have three options in terms of premium payments – 20 years (accelerated payment schedule), until the age of 65 (slightly longer payment schedule), or lifetime (pay a particular sum on a monthly or yearly basis throughout the coverage period). The policy includes a cash value account with a fixed rate of interest, which keeps growing in value as long as the policy stays in effect. You can access the accumulated cash in your account for any reason, at any time by taking out a loan. You are eligible to buy additional insurance – without undergoing any exam – when you buy a house, get married, or have a baby. The policy is structured in such a way that it starts accumulating cash value right from the very first premium payment. You get to decide the amount of premium you pay every month or every year – within the upper and lower limits set by the company. If your cash value account has sufficient money, you can use it to pay for the premiums as well. The money in your cash value account can be used for emergency purposes or to meet your financial needs from time to time. The money you borrow, however, must be paid back in a timely manner. Otherwise, your policy’s cash value will go down, which in turn will reduce the death benefit. As your policy keeps accumulating cash value, the interest rate also increases gradually. The interest rates offered by the company are listed below. As you can see, it is in your best interest to let your policy accrue cash value, since you stand to get a higher return on your investment. At the same time, there is nothing wrong with borrowing against the cash value as and when needed, as long as you pay it back. Apart from this, the company also offers a minimum guaranteed rate of interest of 1%, which is not contingent upon the company’s performance or the market conditions. USAA is undoubtedly the most military-friendly insurance company in the country, which is evident from the products they offer. The company’s life insurance policies, in particular, are designed to cater to the unique needs of those who serve in the US military. From not having a war clause to offering exclusive benefits which are not available to civilians, the company has done everything to make sure its products meet the needs of military members as well as their family members. After your death, your family will be assigned a representative by the company, who will serve as a single point-of-contact and work with your family at every single step of the claim settlement process. This way, your loved ones are spared the pain of having to jump through hoops to file a claim and receive the death benefit. USAA offers financial planning services at no cost to the families (designated beneficiaries) of military personnel. In many cases, people who all of a sudden receive a large sum of money tend to overspend or make bad investment choices and suffer huge financial losses as a result. To make sure it does not happen to your family, USAA’s financial planners work with your family members and help them make the right investment decisions. The company does not charge your family any money – either in the form of a fee or in the form of commission – for the services provided. The offer is available to your family irrespective of whether you buy a term life, whole life, or universal life policy. If you are a member of the US military who is about to be deployed, your application will be fast-tracked by the company so that you can qualify for the policy before leaving the country. In some cases, you can even qualify for a policy without submitting yourself to a medical examination. Similarly, the process of converting a military life insurance policy (one which you bought when you served in the military) into a civilian life insurance policy (after your retirement) is also quite simple and straightforward. The best part is that your insurability is not taken into account by the company. So, there is no need for you to submit yourself to an exam. 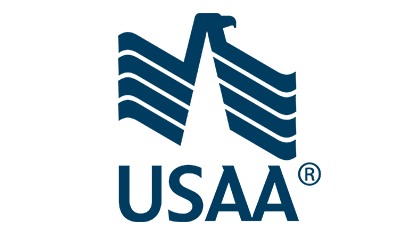 USAA’s website is user-friendly, easy to navigate, and has a ton of information on the policies offered by the company. All the relevant details are clearly laid out – what kind of policies are available, who is eligible, the advantages and disadvantages of various types of policies, the add-on benefits offered by the company, and many more. While USAA does offer some excellent products, many of the benefits are available only for active as well as former members of the armed forces and their families. Civilians only have limited options. So, if you are from a non-military background, you are likely to find policies that are better suited for your needs from other companies. If you are in excellent health, you can easily qualify for USAA’s preferred best category. Otherwise, you might be assigned a higher risk class, due to which you have to pay a higher rate. This applies even for common health problems, which are not considered major risk factors by many other insurance companies. If you are someone with preexisting conditions or a family history of heritable disorders, you might be able to qualify for a lower risk class with other companies which are known to have lenient underwriting policies. While the difference in cost between qualifying for a lower risk class and higher risk class might only be a few dollars a month, it can add up very quickly. A saving of $4 or $5 dollars a month means thousands of dollars in the long run – especially if you choose to buy a whole life or universal life policy. USAA’s underwriting process can take anywhere from four to six weeks, which is slightly longer than the industry average. The process is much shorter with many other companies, which is an advantage in itself. USAA, to its credit, has an accelerated approval process for military personnel who are about to be deployed. It is only the civilian approval process which involves a significant waiting period. USAA only offers a traditional whole life policy and a traditional universal life policy. It does not offer any variable universal life, indexed universal life, or survivorship policy. Is USAA the Right Choice for You? USAA is one of the largest corporations in the country and is financially in a very stable position. It offers an excellent range of products for people serving in the US military and their families. While the company’s products and services are also available to civilians, you need to be a member of the military in order to be able to enjoy the full range of benefits offered by the company. Simply put, if you are a member of the US military, USAA is a very good choice for you. If you are a civilian, there are plenty of other, equally good options available for you. Buying the right life insurance policy from the right company is absolutely essential. Otherwise, your loved ones could be left in the lurch after your demise. This is precisely where we at NoExam.com can help you. Our experts can educate you about the different types of policies available and offer their inputs so that you can choose a policy which is tailor-made for your budget and insurance needs. If you have any questions with respect to life insurance coverage or if you need a life insurance quote, you can get in touch with the experts at NoExam.com.